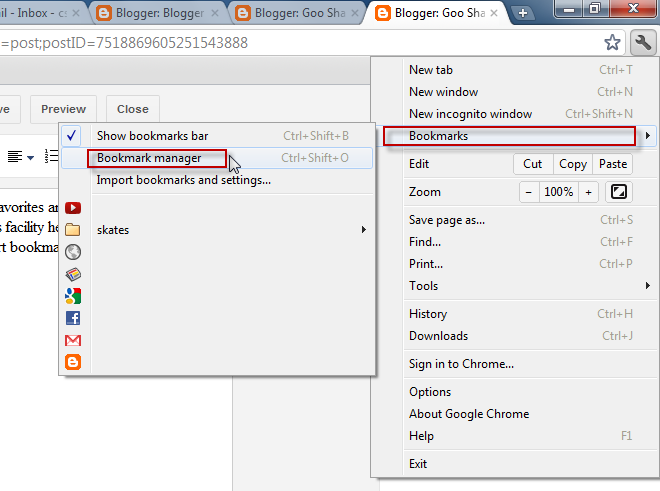 In the menu click on “Bookmarks” and choose “Bookmark Manager” as shown in the below screenshot. You can see a new window opened where you can manage Bookmarks. In this window click on “Organize” and select “Export bookmarks to HTML file” from the drop down menu. That’s all you need to do, your bookmarks will be exported to a HTML file. Importing bookmarks is same as exporting them. Go to the bookmarks manager window and click on “Organize”. 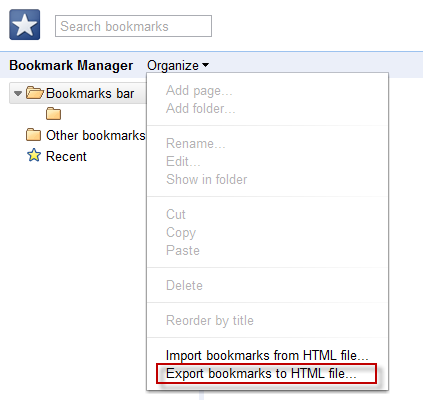 Select “Import bookmarks from HTML file” and specify the file location. The bookmarks will be imported to your browser. 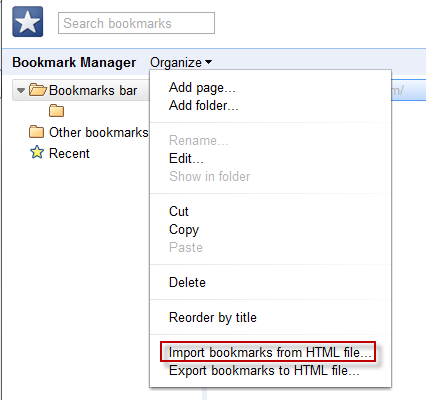 Importing and Exporting bookmarks in Firefox and Internet Explorer will be explained in the next Parts of the post.